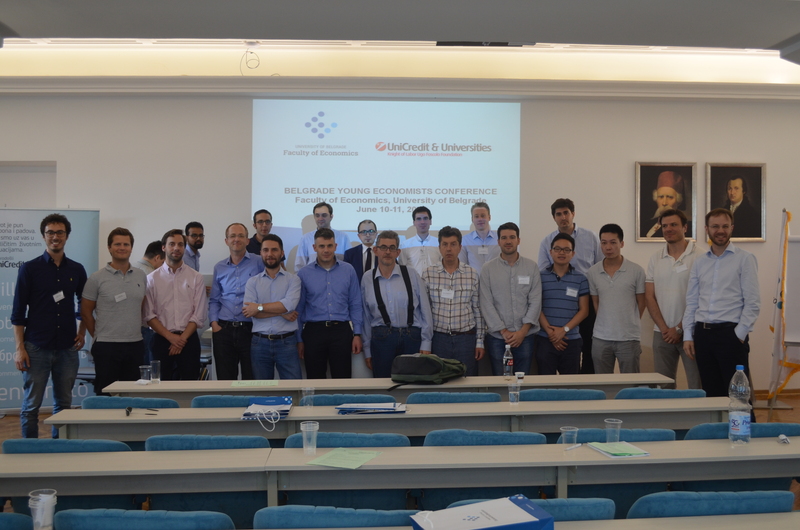 Faculty of Economics, University of Belgrade in collaboration with the UniCredit and Universities Foundation and UniCredit Bank organized the two-day international Young Economists Conference on June 10thand 11th. The annual conference was established in 2011 with the aim to support young researchers from around the world in their further academic development. UniCredit and Universities Foundation and UniCredit Bank recognize the importance of this initiative. The participants of diverse nationalities come to Belgrade from the world’s leading universities. They have the opportunity to present their papers and to receive valuable feedback and advice from renowned international economists. This helps them polish their work and prepare them for publication in the top international journals. Each year, from a very large pool of applicants only 10-12 papers are accepted. This year, the competition from the PhD students and recent graduates from the leading international schools was stronger than ever. In the end, 12of them received the honor of presenting their papers at the meeting. 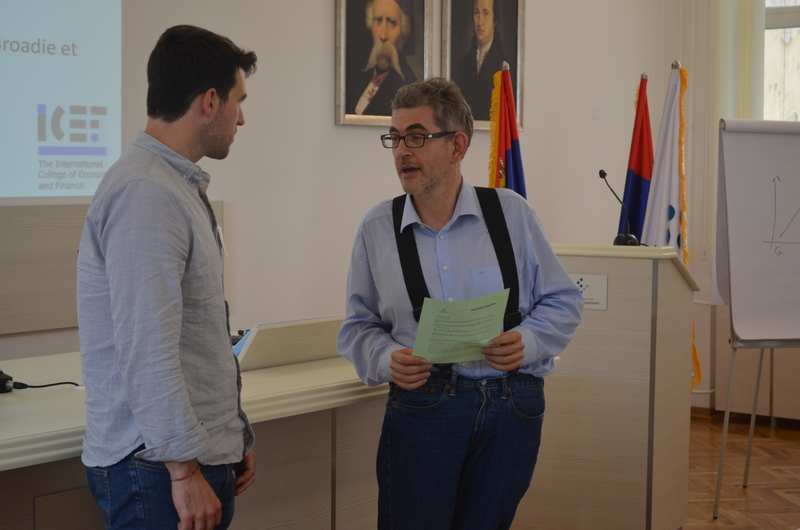 On the second day of the Conference, the Program committee selected the paper “From local to global: offshoring and asset prices” by Lorenzo Bretscher, a PhD student from London School of Economics and Political Science, as the best paper on this year’s conference. UniCredit and Universities Foundation from Milan awarded the winner a prize to the amount of EUR 1,500. In addition, the foundation provided competitive travel grants for several participants.